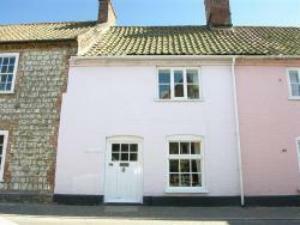 Pink Cottage Self-cateringPink Cottage, a small cottage coloured pink, is situated near the green in the heart of the village of Burnham Market and close to the beach at Holkham in North Norfolk. The village, with its flint cottages, has many shops, pubs and restaurants and is close to Titchwell, Cley and Holme nature reserves. Other attractions include golf at Hunstanton, sailing at Blakeney and lovely walks along the coast. You are in the heart of the village in Pink cottage. Walk from here and you can be on the marshes or the beach. Superb for bird watching and walking.